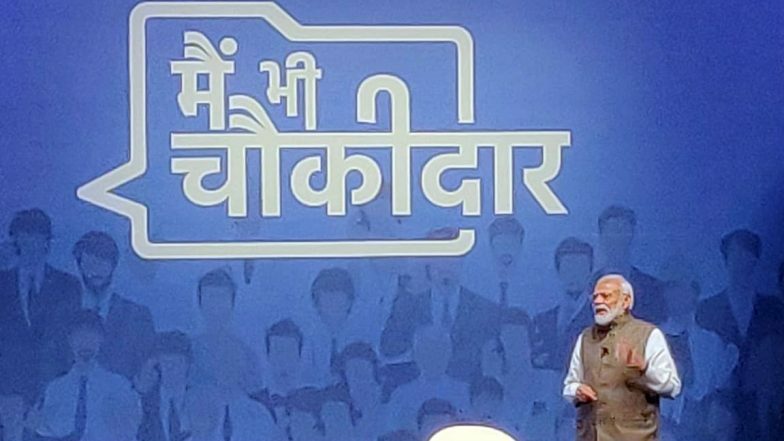 New Delhi, April 5: BJP's "Main Bhi Chowkidar" campaign has become a thumping success on social media platforms while the Congress' "Chowkidar Chor Hai" campaign has failed to create an impact till date, a survey by Noida-based leading influencer marketing firm Buzzoka said on Friday. While 54 per cent of nation's top digital media leaders believed that "Main Bhi Chowkidar campaign" was impactful, 65 per cent believed that "Chowkidar Chor Hai" campaign was a miss, the findings showed. "The survey was an important one for us as we wanted to understand the pulse of the digital media industry," said Ashutosh Harbola, Co-Founder, CEO, Buzzoka. No More Fake News on WhatsApp? Checkpoint Tipline Fact Check Service Launched in India Ahead of 2019 Lok Sabha Elections. The survey quizzed digital media leaders through third-party media publishers that included agency and brand leaders across the Indian digital ecosystem. The findings showed that the stakeholders of Indian digital industry were happy with the current efforts by the government in the digital space. A whopping 91 per cent respondents said digital media has the influencing power to change the perception of voters in the 2019 Lok Sabha polls. "Nearly 69 per cent respondents were satisfied with the policies implemented to boost the digital ecosystem of the country. Over 77 per cent agreed that they witnessed a rise in digital media budgets during 2014-19, signaling a massive rise in the digital India infrastructure," said Buzzoka which has over one lakh social media influencers on its network. WhatsApp Testing New 'Forwarded' Message Features For Fighting Fake News. "Since Buzzoka focuses on B2C influencer marketing and our overall business model is directly a beneficiary to the rising digital ecosystem, the survey becomes an important landmark in eyeing the future," added Harbola. Buzzoka recently launched "Social Gabbar", a B2C platform for content creators.